The new Jessica Basecoat helps your nails adapt to the nail polish of your choice. Helps you achieve the perfect manicure/pedicure, that last up to 10 days. The phenom formulas are designed to work with each other, to deliver phenomenon results. 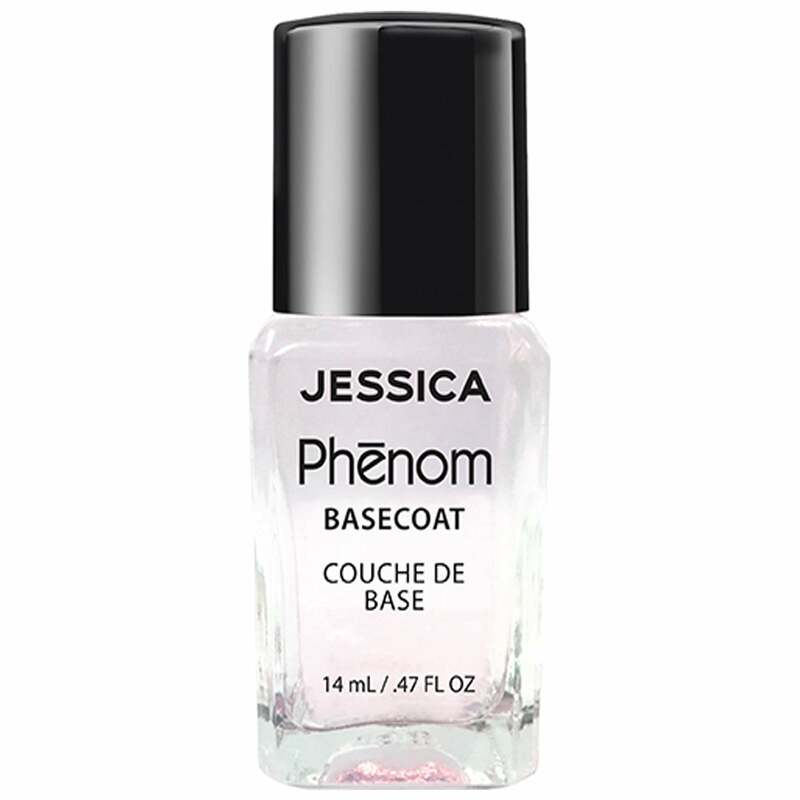 We recommend you use this base coat with Jessica Phenom Nail Polishes. Exclusively developed to last up to 10 days. Start by choosing a base coat suitable for your nail type. Thinly & evenly apply 1-2 coats of your chosen lacquer. Ensure you brush across the free edge of the nail. Follow with your go-to top coat to seal. A prescriptive base coat can be used under your lacquer, to treat your nails, and to create a smooth surface. Jessica Vartoughian opened the first-ever nails-only salon and revolutionized nail care with a technique that was ahead of it's time. Her pioneering spirit and business savvy helped pave the way for the multi-million dollar nail care industry to become what it is today. Now founder & CEO of Jessica Cosmetics International, Jessica is considered the foremost authority on cultivating beautiful natural nails, an achievement reflected in her extensive line of popular nail products.